Kinnelon, NJ – The 2009 Bathroom Blogfest, now in its fourth year, brings together 20 bloggers from the U.S., Canada, the UK and India posting on some aspect of the theme: “Flush the Recession and Plunge Into Forgotten Spaces.” A blogfest gathers writers who direct their posts around a single subject while making the subject relevant to their readers. Between October 26 and 28, these experts in marketing, customer experience and service, public relations, library sciences, life, retail—toilets and bathrooms—will call attention to improving the overall bathroom experience. Along with a sponsor, Whittemore added to this year’s initiative a Facebook Fan Page and way to keep up via Twitter @BathroomBlogfes. In addition, to monitor the conversation, photos and posts, look for the tag #ladiesrooms09 on flickr, del.icio.us, Technorati, Twitter and Google. The Bathroom Blogfest began in 2006 as the brainchild of Stephanie Weaver, Experienceology author and consultant, and Susan Abbott, a business consultant and consumer researcher in Toronto. “They wanted to generate awareness for bloggers passionate about the customer experience at a time when blogging was more experimental. The Bathroom Blogfest created a forum for focusing on spaces that are not a subject of conversation, which they should be,” added Whittemore. Whittemore believes that today’s bloggers do it because it’s fun and they feel strongly about sharing their ideas for better bathroom experiences. She observes that retailers ignore the bathroom as a possible selling space and that most ignore it altogether. One of the bloggers added that it’s a way for her to potentially create more impact than she might with a single post while it introduces her readers to both a new subject and community of bloggers. 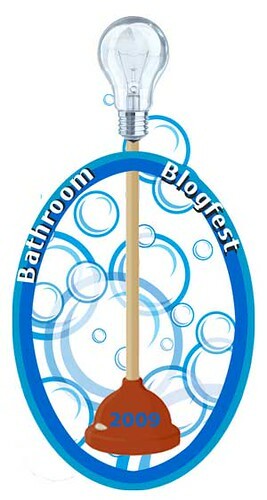 For more information about the blogfest visit http://www.BathroomBlogfest.com or contact Whittemore at cbwhittemore AT SimpleMarketingNow DOT com. 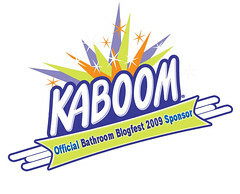 For information about Kaboom, visit http://KaboomKaboom.com. • Becky Carroll at Customers Rock!